Ismael Changawa beat Ugandan Duncan Mugabe 6-0, 6-2 to clinch the inaugural Karen Open title at Karen Country Club. 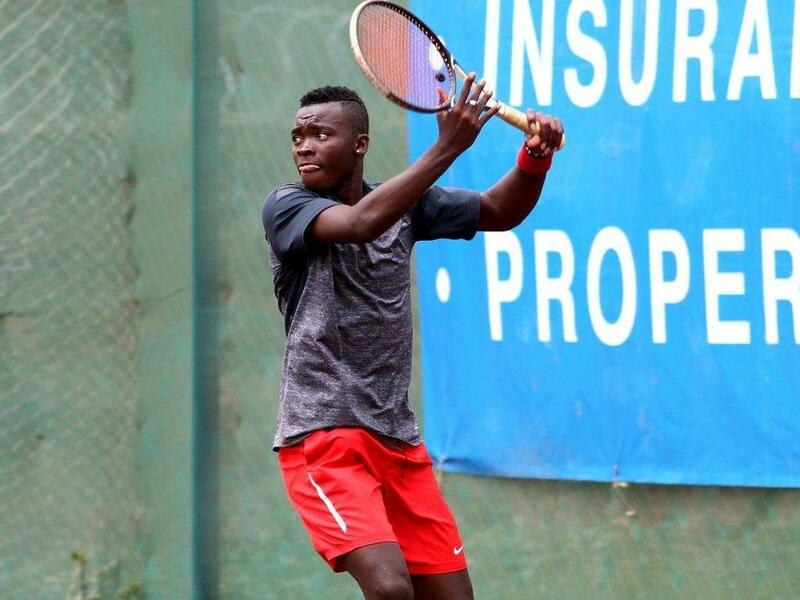 Changawa won the maiden tournament without dropping a set, repeating his own achievements while winning the Malawi and Rwanda Open tournaments earlier in the year. With odds favouring the Ugandan top seed, Changawa turned the tables in style in an encounter he had promised would go down to the wire. Contrary to expectations, Changawa bagged the first game from his serves and broke Mugabe’s next serve for a 2-0 lead. He was clinical in his next two serves and never gave the opponent breathing space as he sailed to the sixth game unscathed. What would have been a set for Mugabe to level matters never to be as he lost his first serve and in repelling Changawa’s second serve, he made a mistake that cost him the second game. However, Mugabe composed himself and successfully hunted down his rival to tie the set at 2-2. But that was it. Things went horrible for him in the subsequent games as he scattered his returns to an ever-improving Changawa, who never looked back to land the set and the match at 6-2. It was sweet revenge for the homeboy, who fell to his fancied opponent at the Kenya Open in July. “I am elated to win this tournament. It was really tough and competitive. He (Mugabe) did not challenge me as I expected. I was strong. I returned his serves and made advantage of his mistakes. I generally feel good for winning the inaugural tournament and wrapping the year’s calendar with victory,” said Changawa. Changawa pocketed Sh95,000 while Mugabe took home Sh50,000. In the girls category, it was sweet victory for beaten Kenya Open finalist and Gabonese Celestine Avomo Ella, who saw off Burundi’s Aisha Niyonkuru 6-1, 7-5. Avomo lost the Kenya Open tournament to Argentine Coronel Natalie and her efforts to win the subsequent International Tennis Federation (ITF) Junior circuits were never fruitful. She also bagged Sh95, 000 while Niyonkuru got Sh50,000. In the wheelchair category, Tanzanian Emmanuel Temba beat Kenya’s Collins Omondi 7-6, 6-1 while Kenya’s Jane Ndega thumped her Tanzanian opponent Rehema Selemani 6-0, 6-1. Elsewhere, Kenya Open junior champion Albert Njogu begins his title defence today at Nairobi Club. 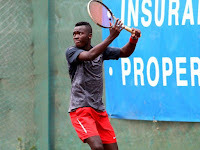 Njogu believes his experience at the just concluded Karen Open and the junior circuits has helped improve his game and is ready to defend his title. “I learned a lot at Karen and the three legs of the junior circuits. I am ready to defend my title albeit this year’s entries are tougher. I am fully fit and I hope to finish the year with victory,” said Njogu.